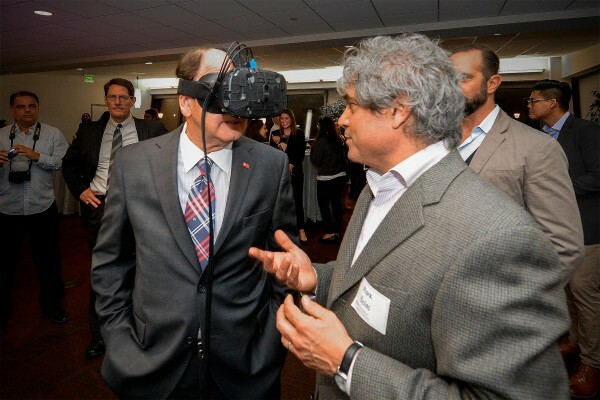 Innovation was the subject of the day as USC President C. L. Max Nikias talked tech with Silicon Beach-based senior executives from companies like Google, YouTube, Yahoo, SpaceX and IMAX. The Nov. 18 event at USC’s Institute for Creative Technologies in Playa Vista was hosted as part of the LAX Coastal Chamber of Commerce’s Power Hour series. Nikias addressed many of the ways in which USC is plugging into Los Angeles’ burgeoning Silicon Beach scene, including efforts to promote startups and technology transfer. 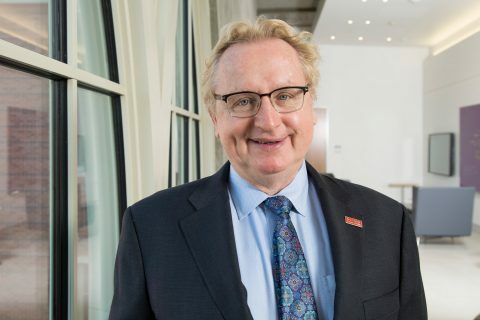 He also discussed the ways the university is teaching innovation, including through new educational models like the USC Jimmy Iovine and Andre Young Academy and the top-ranked programs of the USC Marshall School of Business’ Lloyd Greif Center for Entrepreneurial Studies. 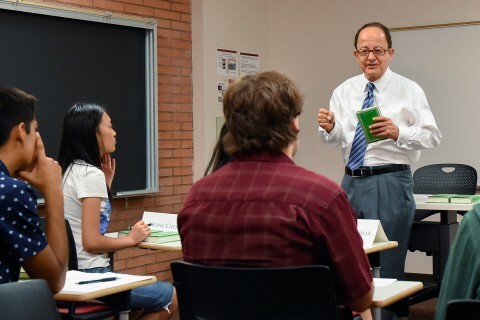 USC has carved out a leadership position in digital media, Nikias said, highlighting the contributions ICT has made to a diverse set of industries including gaming, film, education and defense. 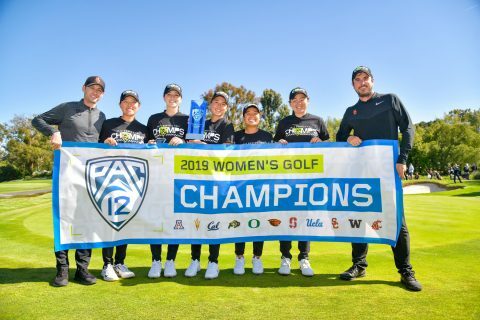 There are few universities that can match the depth and breadth of what USC brings to the table in terms of converged digital media. It’s no coincidence then that many of the strengths of Silicon Beach — virtual reality, 3-D and visual effects — mirror the core areas that ICT has focused on since its inception in 1999. 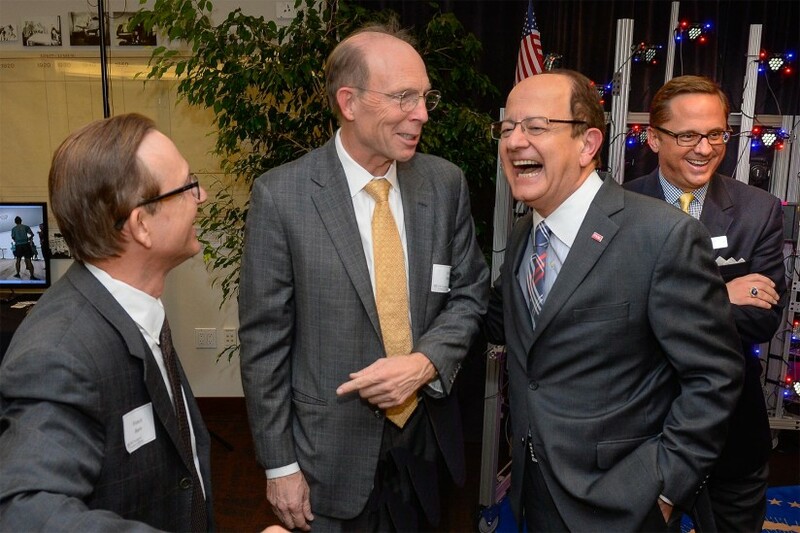 Nikias also spoke about the various ways in which USC works with industry, noting that the university has licensed 463 in-house-developed technologies to more than 250 companies and carries out approximately $40 million in corporate-sponsored research every year. He also discussed USC’s multi-pronged efforts to incubate startups, highlighting programs like the USC Annenberg Innovation Lab, USC Marshall’s Incubator and Viterbi Garage. 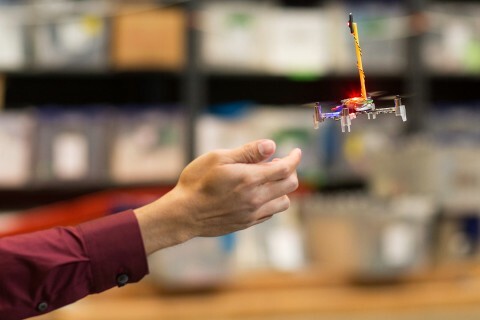 Viterbi Garage, which offers $20,000 in seed funding up to $200,000 in overall support to student and alumni startups, has paved the way for a number of Silicon Beach success stories including 3-D scanner/printer company AIO Robotics and wireless charging pioneer Bezalel. 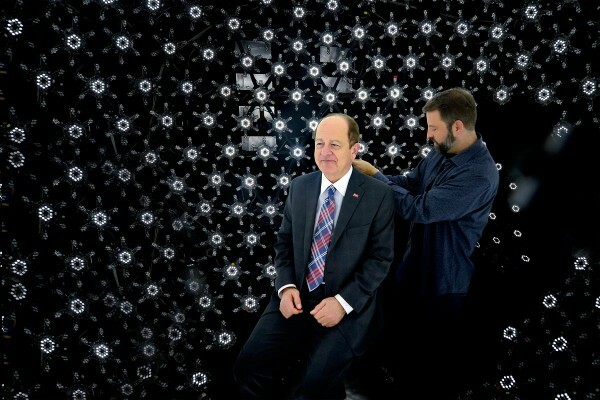 Before the Power Hour got underway, Nikias visited the ICT Graphics Lab where he was scanned in the Light Stage X facial scanner. 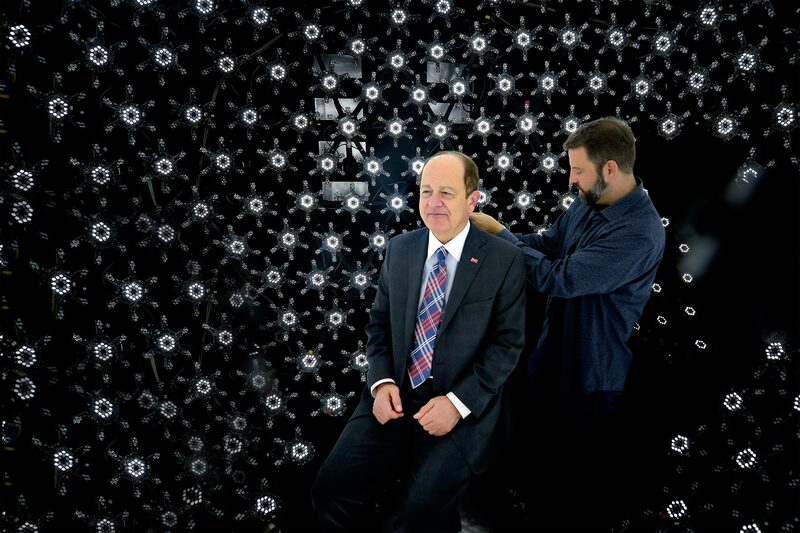 Paul Debevec, ICT’s chief visual officer, and his team positioned Nikias in the center of the Light Stage’s sphere of LED lights and took a series of high-speed photos that captured his face lit from every possible direction. From this imagery, specialized algorithms will create a photoreal digital double of Nikias that can be composited into any lighting environment. ICT’s Light Stage systems have been used in several feature films, including Avatar, Maleficent and Furious 7. 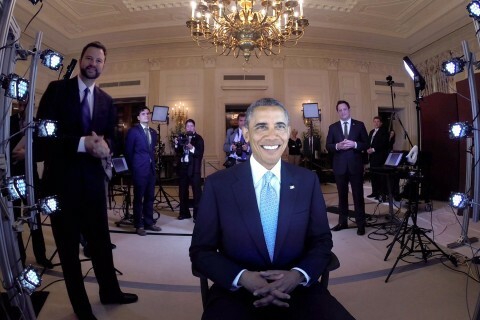 Debevec and his team scanned President Barack Obama last year using a mobile version. The Mobile Light Stage was displayed in the foyer prior to Nikias’ talk, along with virtual reality technologies for LAX Coastal Chamber members to try out, including the Mixed Reality Lab’s suite of mobile immersive viewers. Research behind these low-cost displays informed commercial virtual reality hardware like the Oculus Rift, Google Cardboard and Samsung Gear. The MxR team also demonstrated its latest research exploring social interaction in a virtual environment and showcased ICT’s rapid avatar capture system, which allows real people to be placed in the simulated setting. He’ll join Thomas Habinek in teaching ‘The Culture of the Athenian Democracy’ to a select group of freshmen and sophomores. 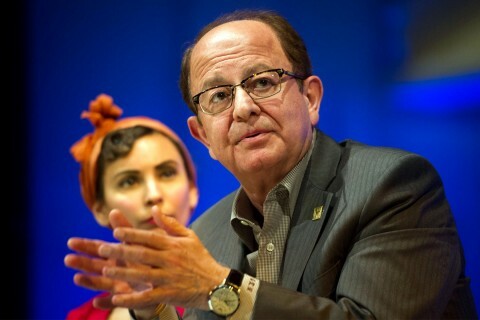 USC president joins cast and director in discussion of the play’s timeless themes.